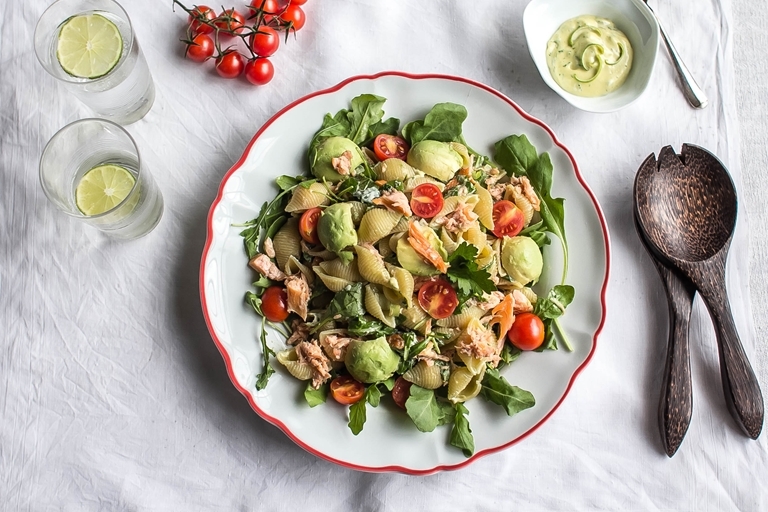 This vibrant salmon pasta salad recipe combines a refreshing homemade lime mayo with avocado, rocket and thick smoked salmon fillets, though feel free to use unsmoked if you prefer. 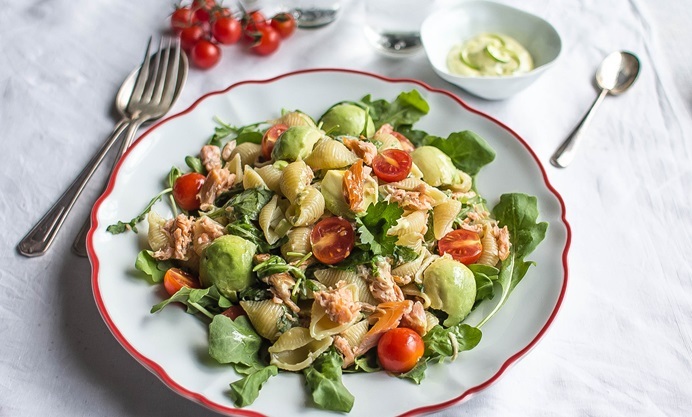 This pasta salad recipe is quick and easy to make. Without too much difficulty you can make a healthy dish that can be served as an appetiser or a main course, depending on the occasion. Pasta salad is an excellent option for the whole family, and is great for using up ingredients in the pantry and fridge. In this recipe, the addition of homemade lime mayo adds interest – making your own is really easy, and takes no time at all. Enjoy!